Pregnant with her first child, Shadia (center) attends an antenatal care visit at the Kyeirumba Health Center at the insistence of her mother (left), who praises the facility’s improved health care services. Isingiro District, Uganda—Nuriyati Katushebe strode into the Kyeirumba Health Center, her young, pregnant daughter Shadia following behind her. They had come to the center for antenatal care. And, here in southwestern Uganda, Kyeirumba represents a quality of care that any mother would want for her daughter. Besides, Katushebe had escorted her four daughters-in-law to Kyeirumba to give birth and Shadia would be no different. Mother and daughter waited until midwife Janipher Birungi was ready for them. Medical clinical officer Joseph Mugisha and the midwife examined Shadia to determine how far along she was and checked her vitals to ensure that the pregnancy was progressing well. 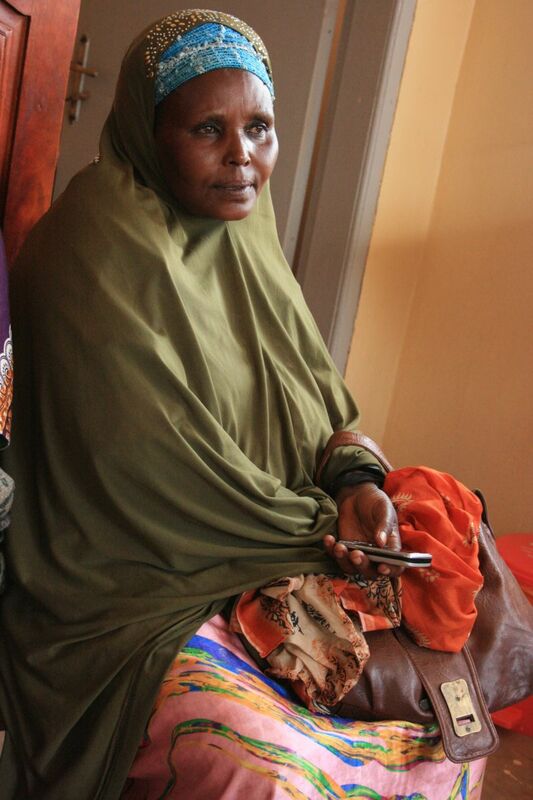 The health care providers advised Shadia on preparation for birth and recorded the details in her pregnancy passport—all routine antenatal visit tasks. Katushebe asked many questions and spoke openly with the facility staff about her concerns and experience. Her candor elicited respectful responses. “The midwife welcomes you, and she is attending with care,” says Katushebe, clearly pleased with the respect she and her daughter received. “I really appreciate her and the services here,” the mother says, adding that she has never been treated this well in a health facility or experienced such clear and open communication with staff before. A year ago, the Kyeirumba Health Center would not have received such an endorsement. Situated alongside a busy main road, Kyeirumba lacked the most basic drugs, was in debt and had no electricity. The facility was disorganized and had inadequate space and few supplies to provide even minimal antenatal and delivery services. The staff wanted to serve their community, but had not been updated on their knowledge and skills or encouraged to make the changes necessary to transform Kyeirumba into a more effective health center. But through the Jhpiego-supported, General Electric Foundation-funded project, “Scaling Up Success: Implementing Evidence-Based Practices to Save Lives of Women and Families in Isingiro District,” health facilities are making positives changes. In collaboration with the Government of Uganda, Kyeirumba and 26 other facilities are strengthening their services, improving quality of care and innovating to save lives. At Kyeirumba, the facility used a Jhpiego-supported quality improvement tool to identify areas of need and began to address them. Through this process, Kyeirumba initiated delivery services for pregnant women, trained and empowered staff to improve their knowledge and skills, and groomed advocates like Katushebe, who believe that delivery in a clinic results in the best outcomes for mother and baby. In one year, the staff at Kyeirumba reorganized their facility and found the space for antenatal services, a labor ward and new laboratory. They arranged for the hospital management committee to pay off debt and provide electricity, tapped into national health systems to receive excess drugs from other facilities, cleaned the compound and started a small garden. Nuriyati Katushebe brought four daughters-in-law and now her pregnant daughter to Kyeirumba Health Center because of the quality of care delivered hereprovided at the facility. Now in its second phase, the project has included staff training in emergency obstetric and newborn care skills, quality improvement through Jhpiego’s Standards-Based Management and Recognition (SBM-R®) approach, and access to information through technical resource centers stocked with books and innovative simulators. Technical staff and resource persons provide support through collaborative sessions. The project continues to support all 27 facilities in Isingiro. “We have learned so many skills—in resuscitating newborns, managing third stage of labor, removing the placenta … and we now use all these skills as we deliver,” says Mugisha, the clinical officer. Midwife Birungi adds, “Now we can handle many complications and don’t have to refer as many mothers” to the next level of health facility. Out of 81 deliveries in the past seven months, there have only been two referrals. From no deliveries, the center now conducts an average of 11 deliveries every month. The staff attributes much of their success to the supportive supervision of Jeniffer Twikirize, Jhpiego’s Technical Midwifery Officer. Twikirize has advised the facility on how to initiate a system for delivering mothers with the few materials and little space that they have. 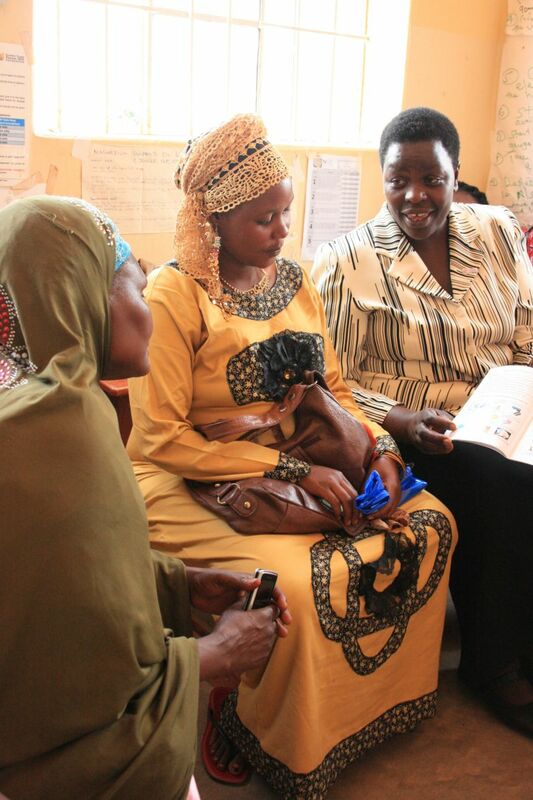 “Her advice and guidance has helped us help mothers in the community,” says Birungi. The project has been the catalyst for change in Isingiro District’s health facilities and encouraged the community to utilize the services. Staff are proud of their work and the community is benefiting from it. Joan Alupo and Sharon Paul are Global Health Corps Fellows.